After Alia Bhatt, Ranbir Kapoor also hinted at getting married 'soon'! 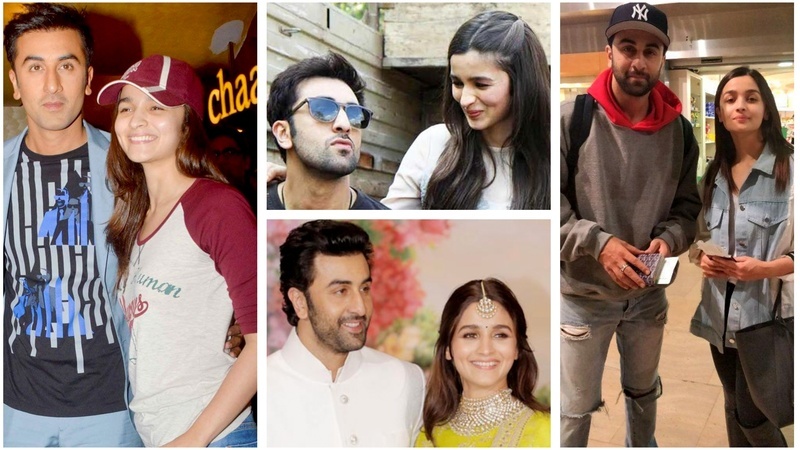 Alia Bhatt and Ranbir Kapoor - B-Town's newest lovebirds have become everyone's center of attention, owing to their whirlwind romance. What began on the sets of their upcoming film Brahmastra has turned into a full-fledged romantic affair! Although in a recent interview, the Kapoor boy really stunned his fans, He was quoted saying, “ When I was younger, I used to believe that I’ll get married at the age of 27. I’ll have kids by the time I am 29-30. I’ll have two kids. But life doesn’t go how you plan it. It’s how you and your partner decide that now let’s take it to the next level. And it happens very naturally and organically.” He had also further added saying, “I believe in the institution of marriage. I want my own children, my wife, I want to have my own family. I hope that I’ll have that privilege soon.” I really hope, Alia is listening to this. What really caused a social media frenzy though is when the Kapoor boy admitted wedding is really on his mind though. In a recent Twitter chat to promote his upcoming film Sanju, Ranbir was asked when he plans to tie the knot and the actor said, “Soon hopefully! :)” Yes, he said that, am really not kidding.